So Now tourists can easily visit the temple of Shri Badrinath Ji. The Restarting date of Shri Badrinath Ji Darshan is 5th Oct 2013 at the time of Navratra. And as per Uttarakhand Govt the tourists can easily visit the temple after that and till closing date in Nov 2013. 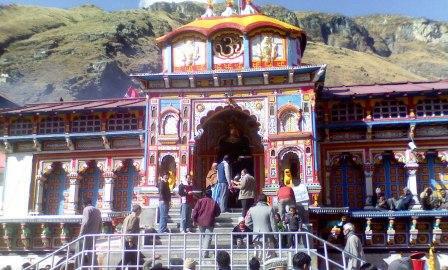 The Badrinath Ji is a very famous temple and very sacred place in Uttarakhand as well as India. How to Reach:- You can take a taxi cab from Haridwar or Rishikesh to Badrinath Ji, it is approx 3 days tour. The Nearest main railway station is Haridwar and the distance is approx 326 Kms from Badrinath Ji. In between the tour you can stay anywhere in the Garhwal. For any types of trade query like Hotel Booking, Cab Booking, Tour Booking, so you can also mail us to onlineuttarakhand@gmail.com.